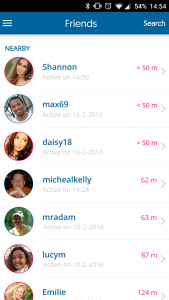 WinQQ | Find Your Friends Anywhere At Anytime! Become more aware of your surroundings! Find friends or matches and grab a bite or some refreshing drinks. All in just a click of a button. Time for you to become aware of your surroundings. 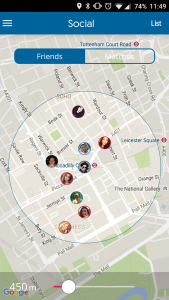 WINQQ will show you your friends if they are in a radius of 2km. Ideal during events like concerts and festivals, but also when you just go to town. WINQQ also has a dating option. Find out if you are a match by having drinks, or a bite to eat! WINQQ goes for face-to-face contact. Your friends are closer than you think, so meet and catch up. You can also speak to each other via the WINQQ Messenger Service. See our locations for some special rewards!